Homeopathy is a complete and holistic system of medicine. It is recognised by the World Health Organisation as the second largest therapeutic system in use in the world. Whilst it is most popular in India and South America, over 30 million people in Europe and millions of others around the world also benefit from its use. Homeopathy as is practiced today was started in the late 18th century by Doctor Samuel Hahnemann, a German physician and chemist. Homeopathic treatment acts by gently strengthening the organism, working together with the bodies own natural abilities to restore balance, so bring about the relief of suffering. Homeopathy treats the whole person, not just the illness from which he or she suffers. It addresses not only the physical but also the emotional and mental symptoms. Each person is treated as a unique individual, has a unique treatment plan and is never viewed as a collection of disease labels. There are many causes of disease. Some are inherited through our genes whilst others are acquired, such as in the case of infection, environmental pollutants or poor diet. Homeopathy believes that one of the major reasons we become ill is due to physical and mental stress. When we are unwell we have uncomfortable symptoms. In conventional medicine a symptom is thought of as the patient's real disease and the goal is to decrease or get rid of it. In most cases, the belief is the elimination of symptoms is the same is the same as elimination of the disease. Homeopathy is based on the idea that symptoms are not the cause rather the result of disease. They merely show that 'dis-ease' exists. It sees symptoms as the body's way of warning us that all is not well and that it is attempting to restore balance. Homeopathy uses symptoms as indicators in treatment of the individual. Instead of merely removing them, homeopathic treatment removes the central imbalance in the body which is the root cause of symptoms. In this way the whole organism is brought back into harmony. The symptoms are no longer necessary, so they disappear and there is relief of suffering. 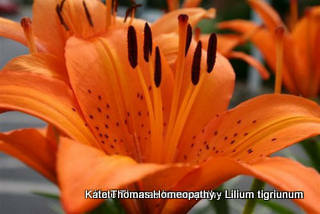 Homeopathy is based on the principle that you can treat 'like with like'. 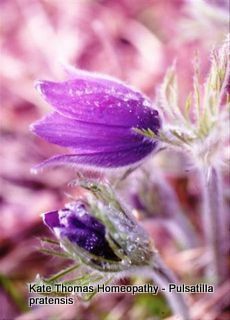 That is, a substance which causes certain symptoms when taken in large doses, can be used in specially prepared minute amounts to heal those same symptoms. This is called 'The Law of Similars', a principle which was first described by Hippocrates around 400BC. Conventional medicine on the other hand uses the opposite medicine in often large and/or regular doses (for example an anti-inflammatory, antibiotic, anti-acid) to try to restore the body to health. This can result in side effects or sometimes addiction. Homeopathy has the potential to treat most modern-day acute and chronic complaints. It can also help in situations where symptoms are considered to vague for specific conventional treatment. Since homeopathy is used to treat people rather than illness, anyone, whatever their diagnosis can benefit from homeopathic treatment. Stomach and bowel disturbances, headaches, insomnia. Chronic illness such as rheumatoid arthritis, osteoarthritis, ME, MS, hepatitis, HIV, fibromyalgia. Repetitive infections in the ear, throat, chest or bladder. Emotional issues such as anxiety, grief, low self esteem, anger, depression. Homeopathy is also very useful in first aid situations and everyday complaints such as in muscular and tendon injuries, bone fractures, colds and flu, bites and stings, burns and food poisoning. Homeopathy is suitable for all ages, from newborns to old age, including pregnant women. Many people use homeopathy as an alternative to conventional medical treatment, concerned at the possible dangers and side effects of medications. Others use it to compliment the treatment they receive from their doctor. Many people take homeopathic remedies to boost their immune system and to stay as healthy as possible. Prevention is better than cure, so you do not need to be ill to visit a homeopath!. Homeopathic remedies consist of minute doses of pure substances derived from nature and are produced by completely natural methods. They are gentle in action, non-toxic and non-addictive. They can be taken alongside conventional drugs and will not interfere with their actions.